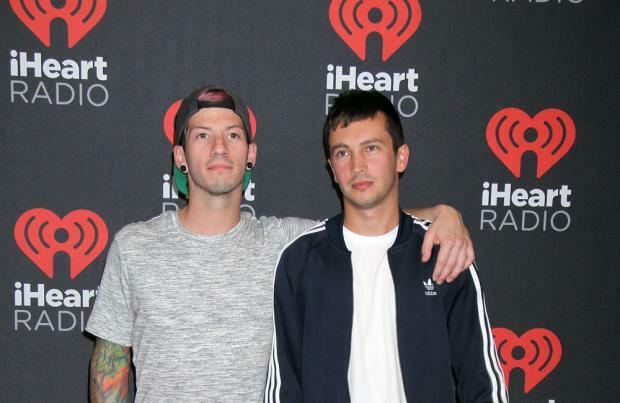 Twenty One Pilots are already working on a new album. The 'Stressed Out' hitmakers – comprising of frontman Tyler Joseph and drummer Josh Dun – are already planning a follow up for Trench, which was released in October 2018. He said: "There's definitely an end-game. There's a story. I think I was very specific that there's a reason why the record ends with [the song] 'Leave The City' and the song itself is a kind of cliff-hanger. I mean, the whole thing was it's setting up for what's next and it'd be silly to not at least resolve what we've already started. There's a character that hasn't been talked about on any record yet that plays a huge role in the narrative that obviously will need to be talked about and it's probably where we're going next. So it's not going to be rehashing all the same themes, but it's gonna recall all that and introduce a new character, a new direction." And asked if they're already working on a follow up album, he added: "Oh yeah. It's hard 'cause we're doing this on tour, but I actually woke up two nights ago. This doesn't usually happen, it sounds super-dramatic, but I woke up with a melody in my head and grabbed my phone and recorded it. Then went back to bed and when I woke up fully, I remembered that I did that and I opened the voice memo to listen to it." The duo are in the midst of their worldwide Bandito tour and Tyler thinks touring is the perfect place to write new music because "a lot of crazy things can happen". He told NME: "In my head, I was just gifted with this thing that happened in a dream and I'm so excited about it and I listen to it and was like, 'OK, it's not that great ... But oh, OK, hold on, if I were to use that chord to start out and then OK, if that chord goes here,' so it's really fun to be on tour and trying to be influenced to write 'cause a lot of crazy things can happen and you never sleep well on tour. I mean, our version of getting drunk or high is just being tired."